Today, I'm wearing this incredible, spiky sweater from Oh My Frock! I love wearing weird and unusual pieces like these because I've always believed that if you carry yourself with confidence, you turn heads in a good way. Plus getting dressed up is an instant mood booster in the morning when all you want to do is crawl back into bed! ;) I actually found that I enjoyed going to school a lot more this year when I had a good outfit planned, compared to last year, when I hadn't really developed a complex style yet. 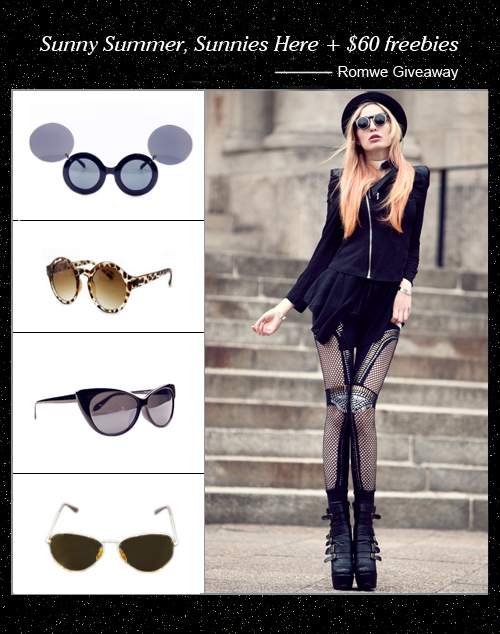 PS: Don't forget to enter my Romwe giveaway for sunglasses and $60 freebies, and my Iconemesis giveaway for an iPhone 3, 4, or 4S case! PPS: Today is my sister's 14th birthday!! I actually stopped using my wireless remote and tripod to take my outfit photos months ago because my sister has been so kind as to take them for me after school instead. I just want to say if it wasn't for her, it would be A LOT more difficult for for me to keep up with this blog so thank you so much Michelle! 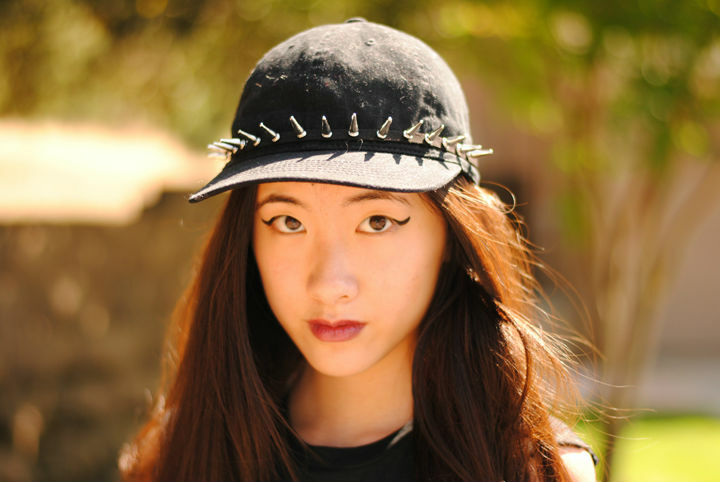 My sister has a Lookbook too; if you'd like to check it out go here! As always, thank you guys so much for reading! <3 I just finished AP testing so I'm very excited to get to re-focus on my blog after I turn in my research papers! 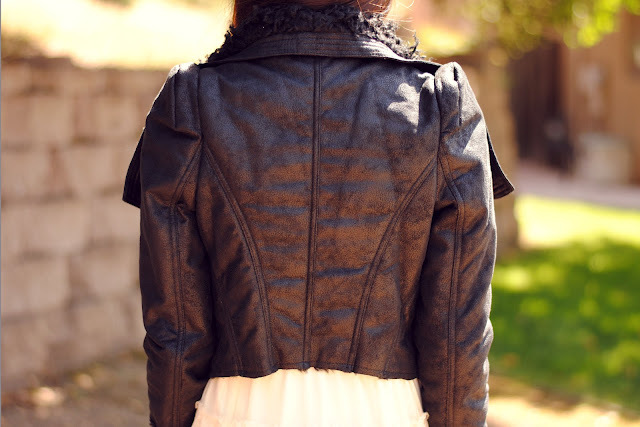 To style this jacket, I went for a softer and lighter look to emphasize the hardness of the jacket. I decided to pair a vintage, lace skirt I got from Wasteland in LA with this lace tank top. To complete this look, I wore my studded collar, which really transformed the entire outfit. My friend told me I looked like Alexa Chung today! Probably because of the whole leather jacket and collar combination! Anyways, if you haven't already entered my Romwe Giveaway, you can do so by clicking the highlighted text. 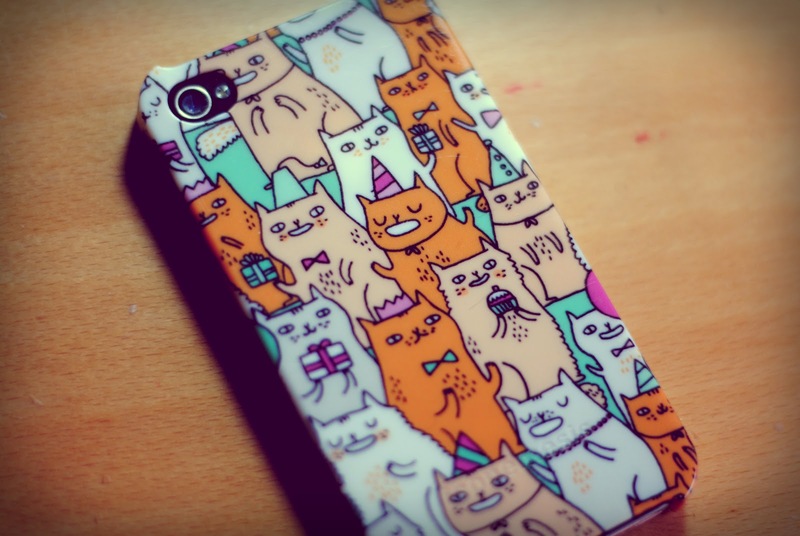 I'm also launching a second giveaway with Iconemesis, who kindly sent me this new cat patterned iPhone case!! My phone case broke AGAIN so I was very grateful for the new one! Which was also ten times cuter than my other one xD This case is very hard and durable, which is a relief because I drop my phone a lot! What's really great about Iconemesis is that all the artwork on their cases comes from artists in the UK, so if you buy a case, you'll also be supporting an artist's career as well. In this outfit, I'm wearing a new, galaxy print top which is from Your Eyes Lie. The black and white color is a nice take on the original, vibrant galaxy print trend. I decided to go with a darker look, maybe because the approach of APs felt like Doomsday. I played around with tucking in the shirt and I really like the way it looks when it falls asymmetrically! For the accessories, I added my beanie, striped tights (they always remind me of Halloween witch costumes), and my new choker necklace. I actually had the cross pendant from another necklace but I always lose the chains so I threaded it onto a length of velvet ribbon. 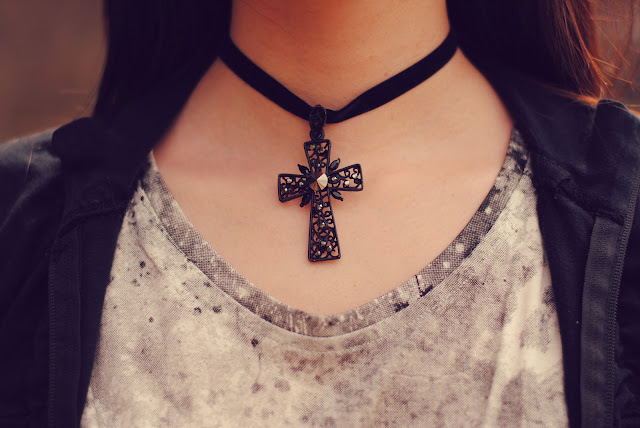 Chokers are my newest obsession; even just a simple black one looks stunning (and you could make it really easily too). Does anyone remember those scrunchy, choker necklaces from the 90s? I recently found one in my room that has pumpkins on it! I'm also holding another giveaway courtesy of Romwe; just follow the directions on the Rafflecopter widget below! 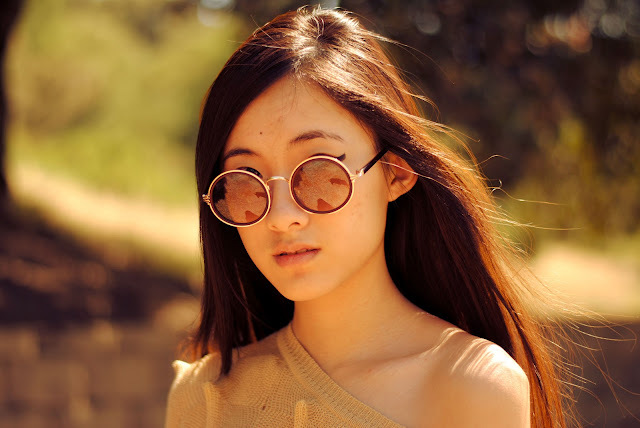 :) You can win $60 freebies to spend as well as one of the sunglasses on the banner. Here are some coupon codes for Romwe too which will expire on 5/20/12! This dress has a lot of details that I love: the side cut outs, the tulip high-low maxi skirt, and best of all, the lace up back! This is a dress that is stunning without being overly revealing. Yes there are side cut-outs, but they are balanced out by the round neckline that does not sit too low. The skin revealed in the lace-up detailing is also balanced with the long length of the back of the high-low skirt! This dress even has a red bandage skirt lining inside for modesty so you don't have to worry too much about unfortunate gusts of wind. A great feature about the lace-up back is the ability to adjust it to various body shapes, whether you have a smaller or larger bust or waist, you can tie the laces tighter or looser to match your own measurements. Pretty genius in my opinion! I also added some additional links above to other similar dresses you can find on Akira; there's a turquoise one, a coral one, and a navy blue one!